California’s First Family of Chardonnay, Wente Vineyards, celebrates their 135th year. 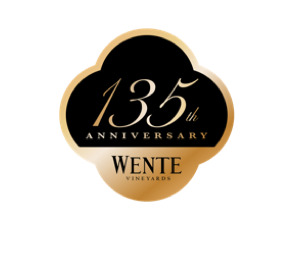 LIVERMORE VALLEY, CA – March 2, 2018 – Wente Vineyards, the country’s oldest, continuously operated family-owned winery has achieved another benchmark, as 2018 marks the celebrated company’s 135th year. Acknowledged for their industry-wide contributions to innovation, sustainability and hospitality, and known widely as California’s First Family of Chardonnay, Wente Vineyards is respected by both critics and consumers alike as a leader in crafting appealing, top quality, appellation-driven California wines. The 135th year kicked off in January with an open letter to wine club members and fans from Carolyn Wente, Fourth Generation Winegrower & CEO, wherein she commemorated her family’s “love of the journey;” honoring the rich history of the 100% estate-grown vineyards while celebrating the Fifth Generation family vintners who are leading Wente Vineyards into the future. In 1883, Carolyn’s great grandfather, C.H. Wente, purchased 47 acres in the Livermore Valley. He and the ensuing generations of his family are credited with establishing the Wente Clone of Chardonnay (over 80% of today’s California Chardonnays are derived from this Wente clone), releasing California’s first varietally labeled wines in 1933, pioneering the Arroyo Seco winegrowing region in Monterey in 1963, and being the first to offer the range of wine country experiences that have now come to define the estate’s special brand of hospitality, which include award-winning dining at The Restaurant, an Audubon Certified, Greg Norman-designed championship golf course, historic tasting rooms and tours, Winemakers Studio educational tasting seminars, Orbitz’s 2018 #1 “Best Place to Get Married” in California, and concerts that have featured headliners like Ray Charles and Colbie Caillat. A memorable evening celebration, toasting to 135 years over dinner, topped with a wonderful night of dancing under the autumn stars. Intimate dinner celebrations hosted by Fifth Generation Winegrower Karl D. Wente and Executive Chef Jeff Farlow. Online wine specials and limited-time shipping discounts throughout the year, such as $1.35 shipping. A limited release of a special “Celebratory Chardonnay” will be released to commemorate the 135th anniversary, available DTC and in limited market distribution. The Chardonnay will feature a vintage label design, and 500 bottles will be signed by the Wente family. Running from March 1, 2018 through June 30, 2018, this text-to-win national sweepstakes will award one lucky winner a trip for two to enjoy the full Wente Vineyards experience. The package includes round-trip airfare (Wente Vineyards is a quick 50 minutes from San Francisco), a stay in the cottage, breakfast at The Grill, a round of golf at The Course at Wente Vineyards, concert tickets, educational classes at Winemakers Studio and more. Text “WENTE” to 24587 and enter to win or visitwww.wvwinesweeps.com. Must be 21+ to enter. 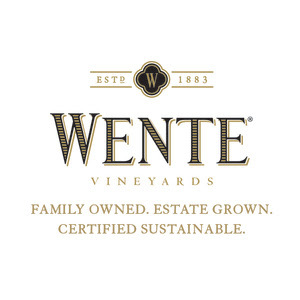 Founded in 1883, Wente Vineyards is the oldest continuously-operated, family-owned winery in the country, now owned and managed by the fourth and fifth generations of the Wente family. The winery draws from certified sustainable Estate vineyards in the Livermore Valley, San Francisco Bay and Arroyo Seco, Monterey appellations to create an outstanding portfolio of fine wines. Wente Vineyards is distributed in all 50 states and in over 70 countries worldwide. In 2010, joined the top 2% of California wineries who meet all three tiers within the Certified California Sustainable Winegrowing codes & designation. In 2011, Wente Family Estates was named American Winery of the Year by Wine Enthusiast and a top 30 wine company by Wine Business Monthly. 2012 marked the 100th anniversary of the Wente family bringing Chardonnay cuttings to California from France. Today, the Wente clone of Chardonnay is the most widely planted in California. For press inquiries and images, please contact Kimberly Noelle Charles or Alexandra Fondren at Charles Communications Associates at press@charlescomm.com or 415.701.9463.